Are you a company of one and ready to hire your first employee? Or, maybe you’re a small business in need of some general human resources information. The Employer Toolkit was designed with micro and small businesses in mind, and provides a variety of resources to help grow your business. Visit Michigan’s Official Site for Business, Talent & Jobs and Economic Growth, run by the MEDC, a public-private partnership serving as the state’s marketing arm and lead agency for business, talent and jobs, tourism, film and digital incentives, arts and cultural grants, and overall economic growth. Pure Michigan business connect is a multi-billion dollar public/private initiative developed by the Michigan Economic Development Corporation that connects Michigan businesses by introducing them into the purchasing pipelines of the state’s larger companies. Through this Business-to-Business (B2B) network, Michigan companies are encouraged to increase their procurement spending within the state. Professional assistance is available to small businesses and startups at little or no charge, including legal, accounting, Web development and human resource assistance. Since 1991, MMTC has assisted Michigan’s small and medium-sized businesses compete and grow. Through personalized services fitted to meet the needs of clients, MMTC develops more effective business leaders, drives product and process innovation, promotes company-wide operational excellence and fosters creative strategies for business growth and greater profitability. The Department of Labor's Wage and Hour Division is committed to providing employers with the tools they need to operate in compliance with the variety of labor laws enforced by the Division. WHD offers a number of useful compliance resources intended to provide employers with readily accessible, easy-to-understand information relevant to both their rights and to their responsibilities under the law. When you employ veterans, you are employing a unique pool of employees who have demonstrated integrity, a commitment to excellence, a desire to do the best job possible and give you a clear edge on the competition. Veterans typically possess a level of training, maturity and discipline rare in the civilian workforce. Find out more about the great qualities and benefits that veterans can bring to your organization. Visit the Michigan Works! 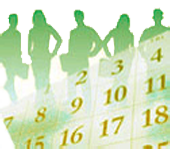 Agencies website to find skilled workers and training opportunities to upgrade workers' skills. The Michigan Works! 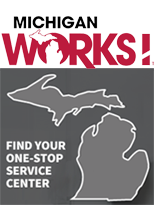 Agencies oversee a statewide network of Michigan Works! Service Centers. Business partners can connect locally with Michigan Works! Agencies to find skilled workers and access training opportunities to upgrade workers’ skills. A variety of services are available to employers, ranging from basic resume searches and writing effective job postings, to providing online job advertisements, recruitment, and resume sorting. Sponsored by the Workforce Development Agency, State of Michigan, the Fidelity Bonding Program was created to assist high-risk, but qualified, job seekers who have bona fide offers of employment. The Work Opportunity Tax Credit Program (WOTC) is a federal credit available to private for-profit employers who hire from specific targeted groups of people experienced difficulty in securing employment, including a maximum credit of $2,400 for employing individuals who may qualify are: TANF recipients, disabled veterans, unemployed veterans, Food Stamp recipients, vocational rehabilitation work plan participants or ticket-to-work holders, SSI recipients, ex-felons convicted or released within one year of hire or designated community resident who is 18-39 years old. The Michigan Advanced Technician Training (MAT2) Program is an educational model that allows your company to “grow its own” employees and ensure a future pipeline of qualified talent. A partnership between the State of Michigan, industry leaders, and colleges, MAT2 directly involves employers in creating highly skilled, capable and readily employable graduates. The program currently offers four programs: Mechatronics, IT, Technical Product Design, and CNC. MICA creates a framework in which many employers within a single industry engage with the workforce system to identify their demand. In this approach, talent issues may be handled more efficiently through multi-company, industry-focused training programs. Regionally, Michigan Works! Agencies (MWAs) convene employers along with education providers, economic development organizations, and other groups associated with workforce development to solve talent challenges. Local industry clusters are formed based on local needs and are led by employers. Designed as an economic development tool, the Michigan New Jobs Training Program allows community colleges to provide free training for employers that are creating new jobs and/or expanding operations in Michigan. SME and the SME Education Foundation’s Partnership Response In Manufacturing Education (PRIME®) initiative actively engages and builds a collaborative network between students, educators and industry to grow and train the next generation workforce while driving interest and awareness in manufacturing. PRIME® gives manufacturers a voice in education, builds student awareness of manufacturing career pathways and provides them with options to acquire manufacturing industry credentials and successful employment. A revolutionary approach to better prepare Michigan students and adults for the jobs of today and tomorrow. Its end goal is to sustain collaboration between the education and business sectors — namely for jobs in professional trade, information technology and other high-demand fields. Sign up to receive a bi-weekly newsletter with valuable information to help in your talent search. The Vocational Village is a first-of-its-kind skilled trades training program that aims to provide a positive learning community for prisoners who are serious about completing career and technical education.